PERS pressure and city salary increases are reflected in the city's adopted budget. The original proposed budget for Sherwood's 2018-19 fiscal year was largely "status quo," according to the welcoming message written by City Manager Joe Gall. But once members of the city's Budget Committee had a chance to assess it, they found a fatal flaw. Fixing that flaw requires the city to lay off two employees. The original proposed budget — which totals about $57 million altogether and includes a General Fund of about $18 million — included plans to raise city employee salaries, after a study comparing Sherwood to similar Oregon cities determined that the city staff was being underpaid. 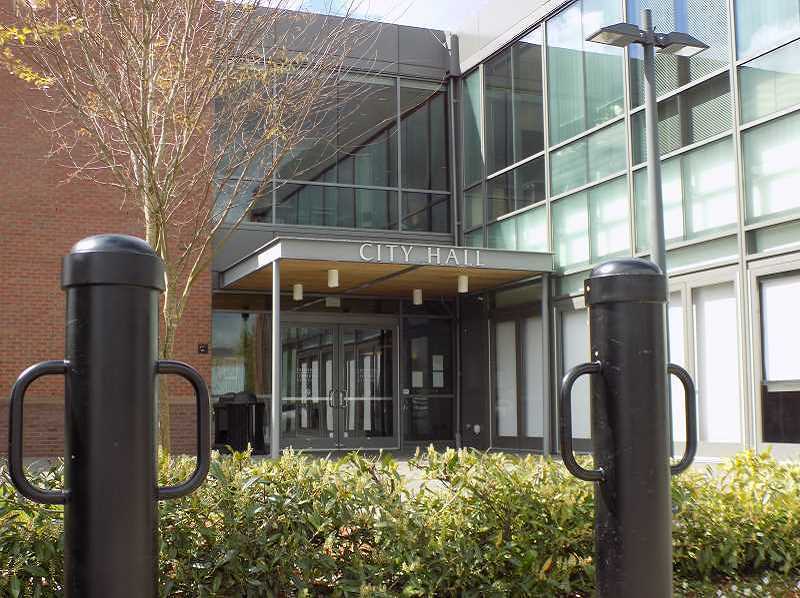 And, following Sherwood city policy, the budget also allowed for an ending fund balance of at least 10 percent — though it aims for 20 percent — of the general fund at the end of the fiscal year. That's money left over for a rainy day. Which is where the problem came in. Rates for PERS — Oregon's Public Employee Retirement System — are expected to go up by nearly 30 percent in the 2019-20 fiscal year, and PERS is paid as a percentage of each employee's salary. So as Sherwood city employees' salaries go up, so too does the amount the city will be expected to pay into PERS. The city used a new software this year, called Forecast 5, to project how the increased PERS rates will affect the city's budget in the future. The results weren't pretty. The forcast showed that, if Sherwood were to continue down this path, the city wouldn't be able to retain a 20 percent General Fund balance within a few years. "The cliff was just too steep," said Katie Henry, Sherwood's finance director. "So the budget committee asked us to run multiple different scenarios." Henry and her staff presented the Budget Committee with several options for long-term solutions to the PERS problem. All of them included cutting city staff positions. Henry said the Budget Committee — which is made up of the City Council and seven Sherwood residents — asked that her staff find a solution that wouldn't cut positions that interact or directly affect the public. They came up with a plan that will cut the equivalent of 3.25 full-time employees. A few of those cuts were made by merging two positions into one, or by eliminating positions that already were empty, so as to avoid layoffs. In the end, two layoffs were necessary. Effective June 30, the assistant city manager and the business analyst positions no longer will exist in Sherwood. Henry calls those cut positions "internal customer service." "It makes our jobs a little bit harder," she said, "but we didn't cut any programs to citizens." The budget was adopted by the City Council on Tuesday, June 12. According to the city's projections, the employment cuts should allow Sherwood to keep its goal of retaining a 20 percent ending fund balance each year for the next five years — though nothing is guaranteed. "The thing with five-year scenarios is, they're usually fairly accurate for two years, they're pretty accurate for three years, and it's a shot in the dark for years four and five," Henry said. n Until now, Sherwood has invested in a Local Government Investment Pool, a simple, low-risk diversified portfolio. However, the new budget plans for additional investment income, which will come from switching to investing in government bonds, which tend to yield slightly more interest. Henry said the City Council should approve the switch sometime in June. n City infrastructure development is slowing down in Sherwood, but the city continues to set aside money for a future dog park. However, Henry said that "we haven't had strong direction yet from Council regarding whether we're moving ahead with it or not." n In addition to cutting some positions, the city added two necessary positions this cycle: one code enforcement employee, and one position to process data from the city's new red light speeding cameras. n Good news for those made uneasy by the recent drinking water scare: the city is devoting funds to improving its own water infrastructure — and will contribute to planned improvements at the Wilsonville-Willamette River Water Treatment Plant, from which the city receives its water. Personal services, 39 cents: Salaries, wages, benefits and PERS payments. Materials and services, 29 cents: Utilities, personnel training, insurance, software maintenance and office supplies. Capital outlay, 25 cents: Capital improvement projects, vehicles and equipment. Debt service and transfers, seven cents: Paying the interest and principal on city debt.